It can be challenging to find just the right gift for someone’s second wedding. You want to give them something meaningful, something enjoyable, and most of all something perfect. Since the couple has an established household the traditional home centered items may not be needed. Sometimes the best second wedding gift ideas are from those who think outside of the box. 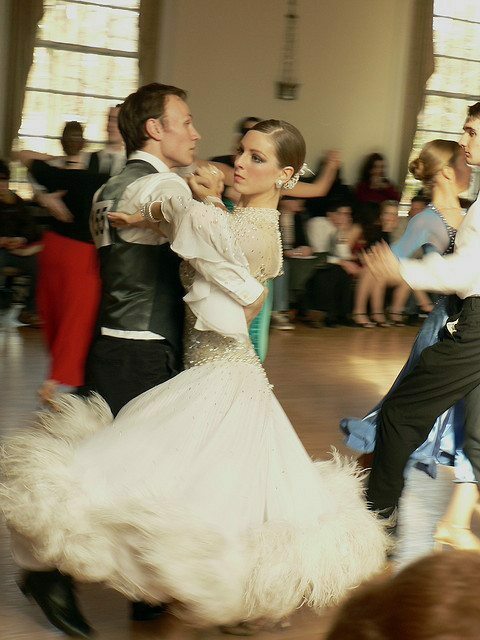 Consider giving a gift such as ballroom dance lessons or wedding dance lessons. Dance lessons are certainly a unique way to commemorate a special day by making it even more special. How great would it be to see the bride and groom dance splendidly during their first dance? To know that you helped create that fantasy, fairy tale moment for them? Whether or not the bride or groom have a background in dance, new lessons might not be a bad thing. It will create a good foundation for new dancers who will learn new skills and perhaps develop a lifelong interest in dance. Those who do have a background in dance might enjoy learning new moves and growing closer to their future spouse. What makes dance lessons such a great and fun gift idea? They may find that they enjoy dancing so much, they wish to continue. They can meet lifelong friends. They can look back and videos and pictures and remember how you had a hand in their special day. Just ask yourself; wouldn’t you have liked to be given the gift of dance lessons for your special day? It is such a fun and unique idea for a wedding gift. This isn’t a gift that comes out of a box; it’s not one that will need to be returned.